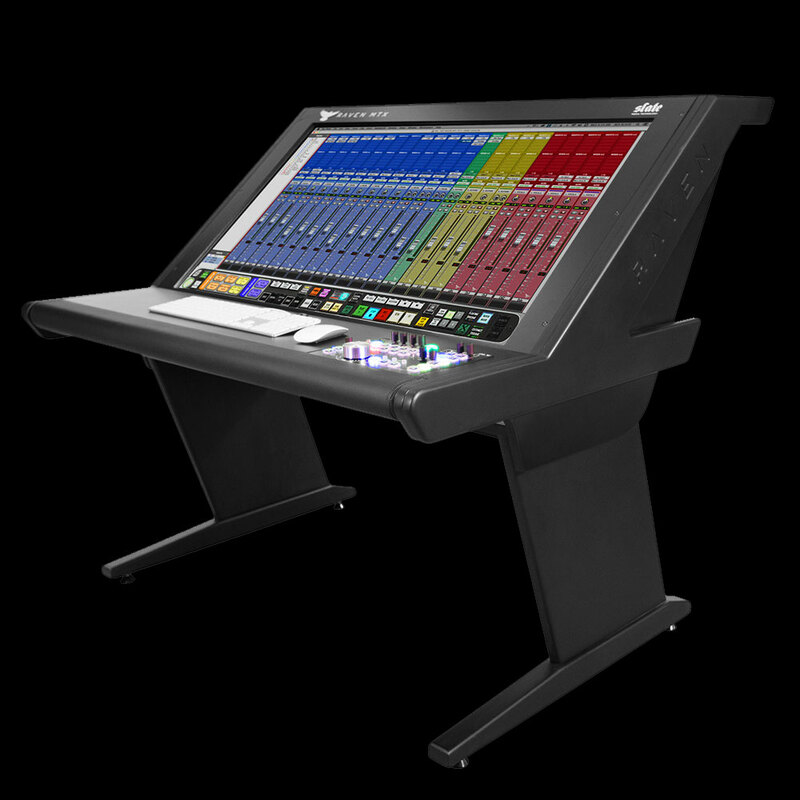 The RAVEN MTX Mk2 is a state of the art touch screen display featuring the RAVEN MIXER – A powerful multi-touch mixer that can control all major DAW’s – and a flexible and user-customizable, multifunction TOOLBAR. 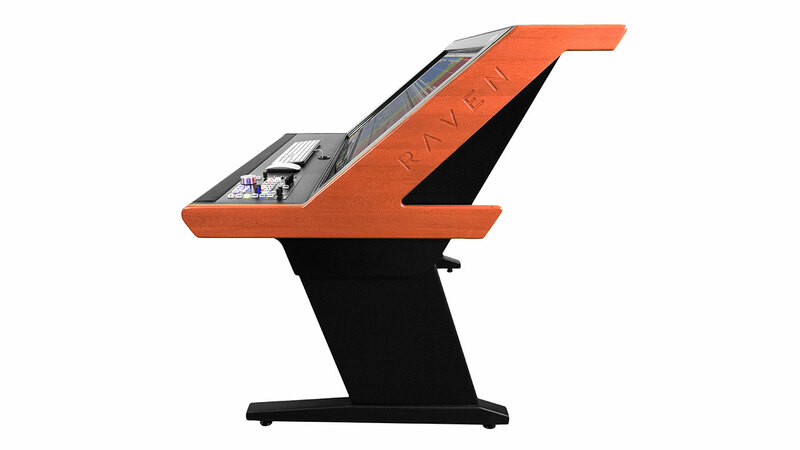 The RAVEN display is housed in an elegant, custom desk whose design echoes that of a vintage analog console and is available with custom finishes and furniture accessories. Finally, The RAVEN MTX MK2 now incorporates SLATE CONTROL, an optional fully analog, full-featured system designed for today’s audio engineer, with multiple speaker outs and input sources, USB, multiple headphone sends and cue options, and much more. 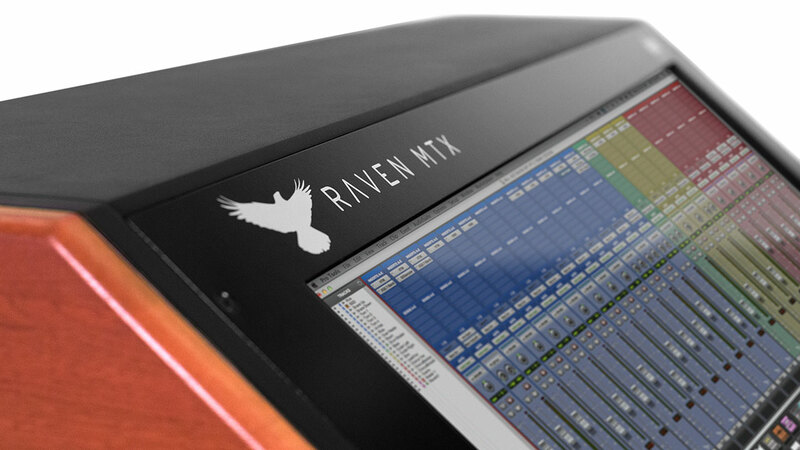 And as always, at the heart of the RAVEN MTX Mk2 is the most important thing of all… your DAW, right at your fingertips. RAVEN 3.0 now adds customized multi-touch control of Ableton Live, Cubase/Nuendo, Digital Performer, Logic Pro X, Pro Tools 10-12, and Studio One V3 on Mac as well as Windows compatibility for Pro Tools 10-12, Cubase 8 & 9 and Nuendo 7. 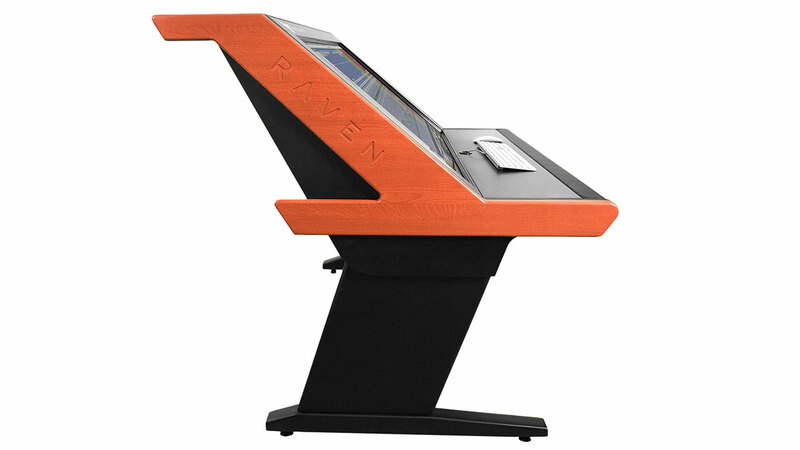 We’re proud to announce the next evolution of the RAVEN Control software called GESTURES. As its name implies, GESTURES allows classic multi touch gestures to control important elements of the DAW such as opening and closing plugins, muting and unmuting tracks, zooming in and out, and more! 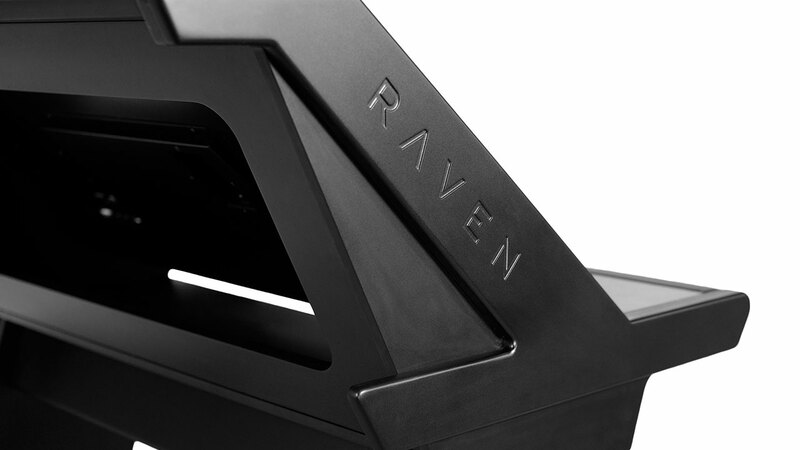 The RAVEN Batch Command System is a true revolution in control. The Batch Command System is a series of preset and customizable buttons that can execute up to 1,000 key commands and mouse clicks automatically. With just one button, the Batch Command System allows you to create instant headphone sends, name tracks, put entire drum tracks on the grid, export stems, and so much more! The Batch Command System comes pre-programmed with 100 preset batch commands in every DAW we support, with layouts for Music, Mastering, Post Production and more. Record your own mouse click automation or program user commands with our QUICKLIST, which features hundreds of predefined DAW operations. Just touch and hold on a Batch Command button to edit, and you’ll have access to almost limitless possibilities. With the Batch Command system you’ll get it all done faster and smarter. The Slate Control is a 100% Analog Monitoring System designed by legendary pro audio designer Paul Wolff. 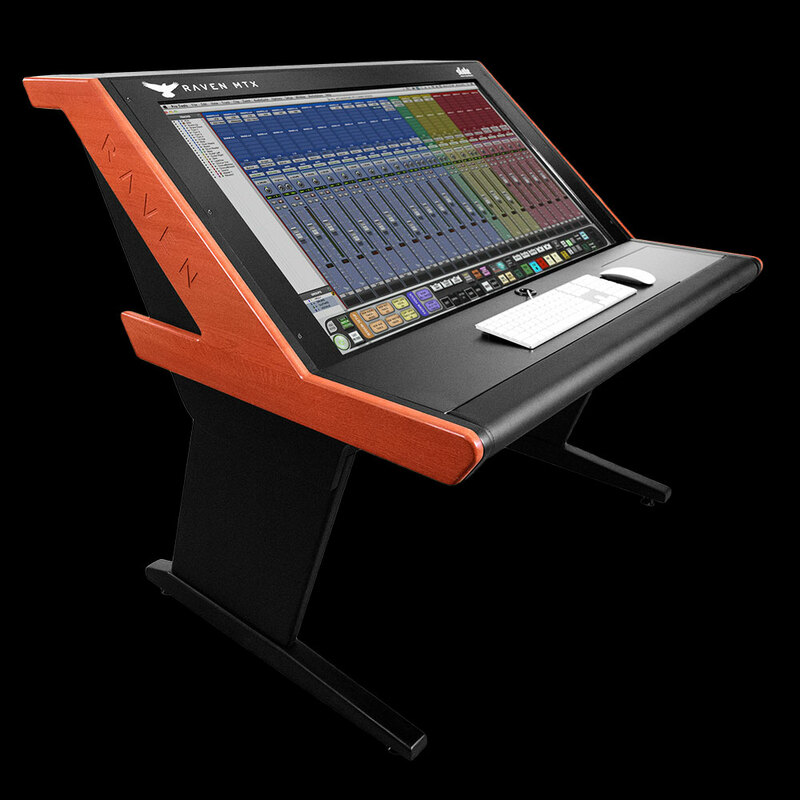 The Slate Control has been designed to provide un-compromised sonic clarity while delivering all of the necessary features studios need from the “center section” of a classic console. 2 Stereo Cue Outputs to feed Headphone Amps. CAL Mode to pre-set a reference monitoring level. *33mm audio Jack for direct referencing from a device with 33mm headphone output (like a mobile phone or audio player). All Major DAWs For RAVEN are currently supported with macOS and Pro Tools 10-12 are supported for Windows. Additional DAW Windows compatibility will be available in the future.